The Telegram Desktop App finally reached the 1.0 release! Here’s how to install it via PPA or Snap in Ubuntu 16.10, Ubuntu 16.04, Ubuntu 14.04, Linux Mint 17/18 and derivatives. 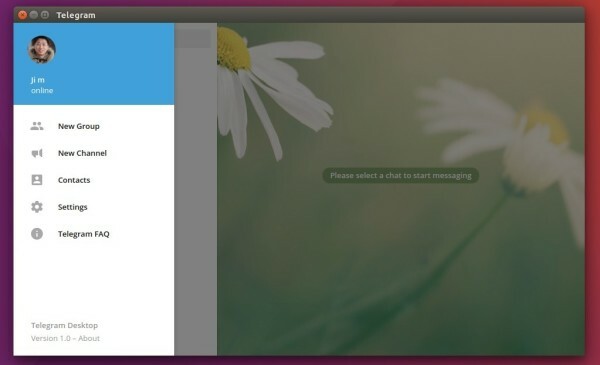 Auto sync messages from phone with computer using Telegram’s encrypted cloud. Ability to start typing on phone, then continue on computer. 2. The snap build of Telegram Desktop so far misses system tray icon for Ubuntu Unity. Type in password (no visual feedback) and hit Enter. It will automatically download the snap package and install it in your system. For all current Ubuntu releases, including Ubuntu 12.04, Ubuntu 14.04, Ubuntu 16.04, Ubuntu 16.10, and derivatives, e.g., Linux Mint and Elementary OS, Telegram is also available as .deb package in an unofficial PPA. Type in password (no visual feedback) and hit Enter. And the PPA can be removed by launching Software & Updates and navigating the Other Software tab. Thank you for sharing the tip. I think you’re a Chinese, and can you use(type, and read) Chinese characters on the Telegram(Linux version). I’m a Korean, and I could not type or even read Korean letters on the Telegram. That’s why I’m stuck in the Telegram Web version. I think it’s related with Qt5, but I don’t know exactly what causes this. Installed telegram using PPA, and I can read and write Chinese characters with it. Thank you for your relpy. I tried the Snap version, but it’s impossible to read or wirte Korean letters. I also tried the PPA one, and I could read but not to type Korean characters. What kind of input method are you using? IBus? Fcitx? or anything else? Fcitx, did you remove the snap version while installing from PPA? Yes, I did remove the Snap version of Telegram.